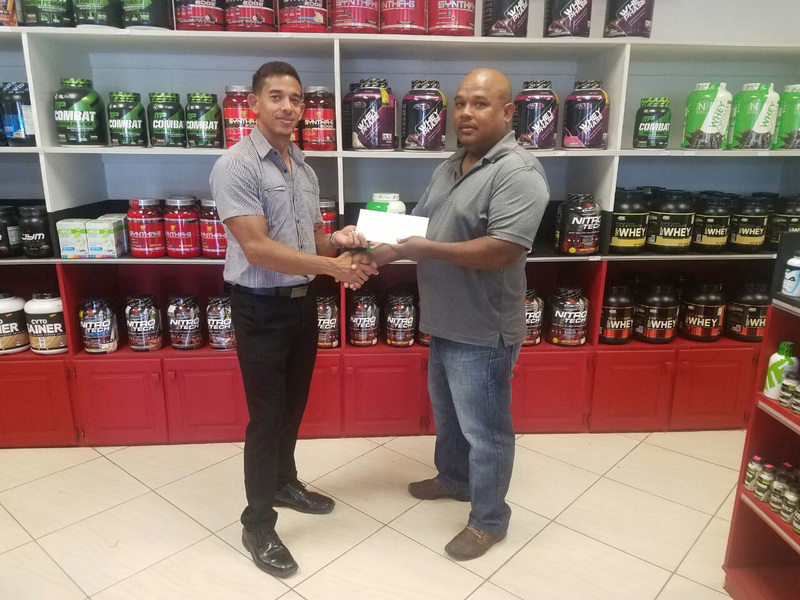 Treasurer of the GAPLF Colin Austin accepts a donation from long standing supporter of the federation Jamie McDonald, CEO of Fitness Express in support of the Senior National Championship slated for Sunday at the Ramada Princess Hotel poolside. At the recent Raw Nationals, the GAPLF honoured McDonald as a key long-standing partner in the sport of Powerlifting. 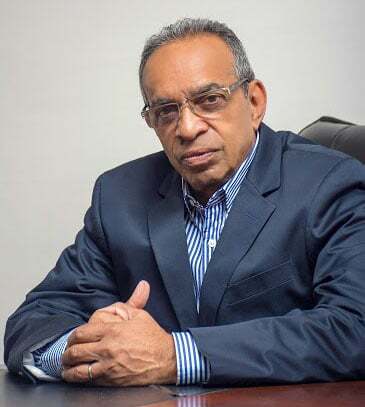 The National Senior Powerlifting Championships will be held on Sunday at the Princess Ramada Poolside and it is expected to attract in excess of 20 athletes, including two females. Sunday’s event will mark the return of some of the nation’s season campaigners on the powerlifting platform. 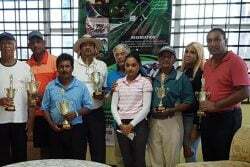 Masters Winston Stoby and Frank Tucker, along with Arif Imamadeen, Grace and Blossom Babb, and Brandon Badal will be among the gladiators lifting for bragging rights and trophies. 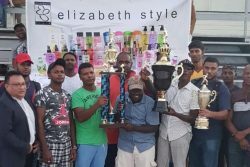 Participation at this competition serves as a prerequisite for being considered for selection for Regional and International tournaments next year. Competition starts at 10:00hrs and the weigh-in is set for two hours prior. Admission is listed at $500. The federation wishes to express gratitude to its sponsors Fitness Express, Trophy Stall, Princess Hotel, V&S Printers, Regal Stationary, Branderz and Idea Printing. Note: Tomorrow from 09:00hrs at the same venue, the GAPLF will host a seminar for referees and judges.